The POHP-USB-40B professional on-hold digital audio player is state of the art. Industrial designed extruded aluminum case for many years of service. Carefully selected electronics for great digital sound quality. Built in default music bed - never any silence on hold. Auto Restart feature in the event of a power failure, no loss of your audio files. Stored audio files play in alphanumeric order based on filenames. 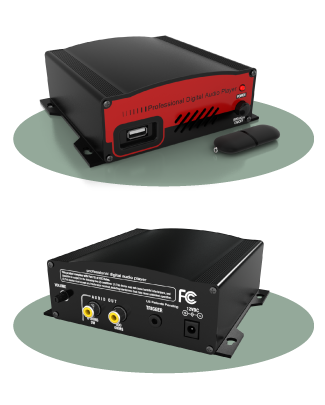 The POHP-USB-40B carries a 5 Year Warranty on parts and labor.